Welcome to Masonry Onsite, brick and block construction is the method of construction that 93% of homeowners prefer. Bricks and blocks are made in the UK creating many thousands of jobs in manufacturing, distribution and onsite construction. 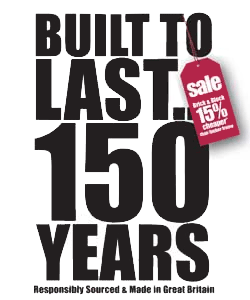 Masonry construction has a design life of at least 150 years and is the dominant material used to construct new homes in the UK, creating a built environment for future generations. Sustainable communities need Jobs, Growth and more Homes built to last. The way to secure long term economic security, social inclusion and the homes we need is of course to de-skill our industry, cause massive job losses and pay a higher price for the construction of new homes. By simply moving to the offsite construction of homes we can also wreck our balance of payments through increased imports, increase our carbon footprint and build homes designed to last 60 years which will be difficult to re-mortgage. 400 years after the fire of London we will return to building combustible homes which are difficult to adapt, less flexible and do not meet the needs of British consumers who prefer their "castle" to be built in masonry offering all the year round comfort and energy efficiency. The reason why some in our Government would like us to commit economic suicide is because they somehow believe that the reason for our housing shortage is the time it takes to build a new homes onsite. This miss-guided belief ignores the facts in an effort to mislead the public and avoid dealing with the real issues. With planning applications taking up to 3 years to complete and finance remaining very difficult for small builders we are being asked to believe that saving a couple of weeks in a 26 week build program will suddenly deliver more homes. Just as it was a nonsense to count the carbon impact on the timber we have to import from country's such as Russia at the “port of entry” it is also a nonsense to ignore the circa 16 week lead time for offsite construction that does not apply to masonry construction. Many believe in the importance of securing long term skilled employment opportunities and attracting inward investment to ensure we have the building materials manufacturing capacity in the UK to meet future needs without increasing the dependency on imports. To secure our economic and social future it is time to stop the spin and the propaganda and focus on doing the right things to ensure we build the resilient and adaptable homes to house many future generations cost effectively. With a changing climate and increase instance of Respiratory illness and overheating we must also ensure our homes make use of thermal mass and efficient ventilation to maintain high levels of comfort and indoor air quality. Only by providing certainty will we attract inward investment and using people to pursue a career in the wider construction sector. There is much to do to drive forward a continuous improvement agenda taking full advantage of digital technology, improve design and productivity and build better homes for the customer. We must not allow this highly important agenda to be hijacked by those with a vested interest in offsite construction and as a result miss the opportunity to build better homes which cost less, make best use of local materials and skilled labour and a re built to last 150 years. Copyright © 2019 Masonry Onsite. All rights reserved.